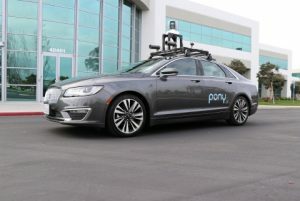 Pony.ai, a Fremont, Calif.-based company that builds autonomous driving solutions, closed a $112M Series A funding round. The round was co-led by Morningside Venture Capital and Legend Capital with participation from Sequoia China, IDG Capital, Hongtai Capital, Legend Star, Puhua Capital, Polaris Capital, DCM Ventures, Comcast Ventures, Silicon Valley Future Capital and other funding sources. The company plans to use this funding to continue developing its self-driving technology. Founded in late 2016 by CEO James Peng and CTO Tiancheng Lou, Pony.ai is building level 4 autonomous driving technology, meaning vehicles can perform all driving functions for an entire trip in both suburban and urban environments as well as bad weather conditions. Its fully self-developed software algorithms enable a vehicle to accurately perceive its surroundings, predict what others will do, and maneuver itself accordingly. In the first year since inception, the company has deployed its technology, has made progress in Guangzhou, China, where the second headquarter office was opened last October. In the first quarter of 2018, Pony.ai will begin operating an autonomous driving fleet in the Southern Chinese city of Guangzhou. In addition to fleet deployment, the company will continue to build key partnerships in both the US and China, and to grow its team in both geographies. It also has an R&D center in Beijing, China.